If you have a Sub-Zero refrigerator and a Wolf range or cooktop in your kitchen, there’s a good chance you have an ASKO dishwasher, too. Sub-Zero and Wolf have a long and complementary history because both companies share traditions of manufacturing appliances of the highest quality. However, until April 1 of this year, Sub-Zero / Wolf service centers, including Box Appliance, have had to await shipments of replacement parts from Sweden — sometimes resulting in less than speedy repair service for dishwashers in distress. With the new agreement, Sub-Zero/Wolf becomes the exclusive US distributor and servicer for ASKO dishwashers and laundry equipment, meaning replacement parts can be stocked locally or overnighted from Madison. That means we’ll be able to service and repair your ASKO appliances with the same speed and efficiency you expect from our Factory Certified technicians. And ASKO gains the confidence of knowing that its products in the U.S. receive the professionalism and expertise of its Premier Partners, including Box Appliance. Were started 60+ years ago by entrepreneurs committed to craftsmanship, quality, performance and design. Build appliances with timeless design, lasting performance and innovative features. Build their products to the highest standards of quality. 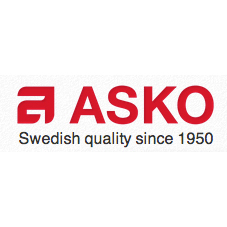 We are delighted to be able to offer our outstanding Factory Certified service to our customers with ASKO dishwashers and laundry products.